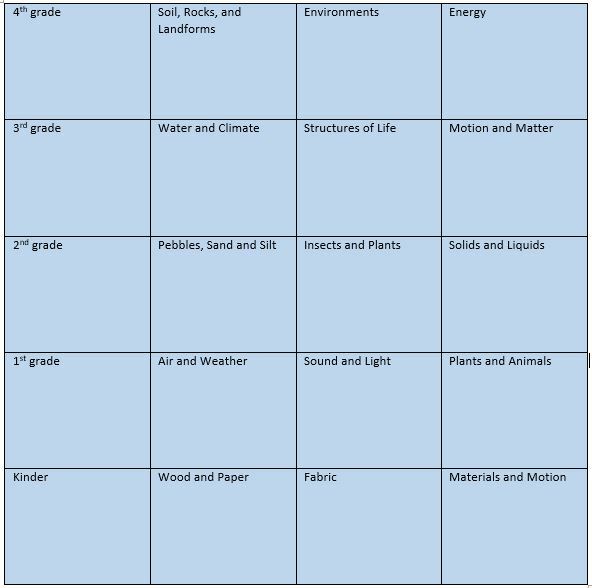 or Full Option Science System is used in grades K-5 which follows the Next Generation Science Standards. 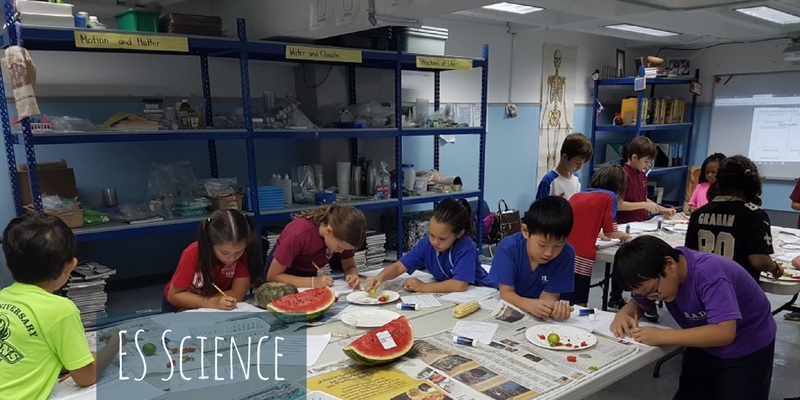 The Active-learning science curricula provides tools and strategies to engage students and teachers in enduring experiences and higher level thinking that leads to deeper understanding of the natural and designed worlds. The program includes STEM. Earth, life and physical science are taught as well in the investigations as students cover 3 units each year. Our science teachers have been trained at UC Berkeley to follow the newest and most updated FOSS edition.